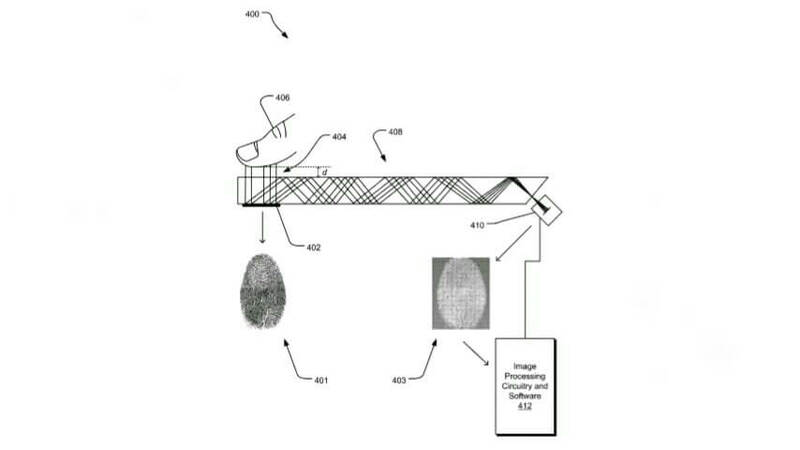 Microsoft is reportedly testing a new technology that will eventually replace the current fingerprint scanner. According to a patent application filed last September 30, 2016 (published on September 7, 2017), the Redmond giant is working on a fingerprint image sensing technology that will allow users to unlock the device without touching any surface. The technology was invented by two people named Liying Chen and Yan Cheng. The technology is officially referred in the paper as “Off-surface Fingerprint Sensing.” This could be the long awaited security solution for devices employing a bezel-less display which usually do not leave any sufficient area for a front-mounted capacitive fingerprint detection. While many companies already started adapting the rear-mounted fingerprint sensor, it is still more convenient to place it on the front where user actually sees where their thumbs are going other than guessing and hoping not to smudge the camera(s). The new sensor can detect fingerprints without any close contact to the surface. According to the patent application, the technology will provide an image sensing capability in a display rather than employing it below the display which as we all know, reduce the effectiveness of the capacitive sensing resolution. In this case, the display will act a part of the sensor detecting the fingerprint of the user without making any contact with the surface. 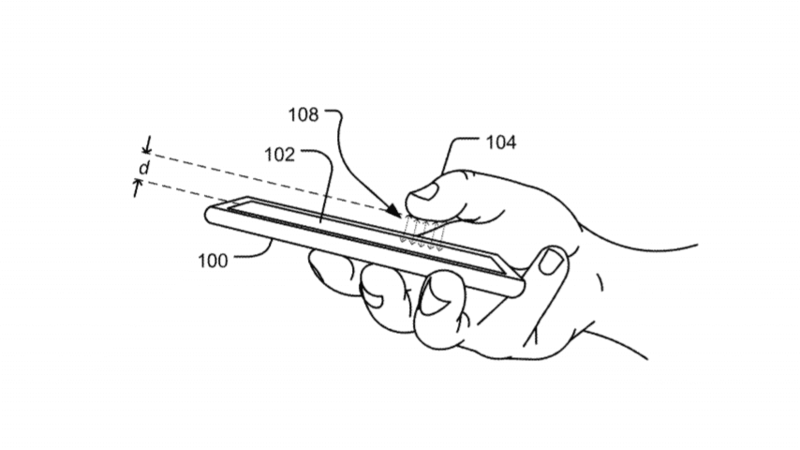 The Off-surface Fingerprint Sensor will use the display, including the cover glass, as a waveguide which will transmit the light from the object to an image sensor inside the device. The display will emit enough light to illuminate the thumb. The waveguide display will then refract the images of the thumb until it reach the sensor. The waveguide will emit a light that will be reflected off the pad of the user’s thumb. Longer distance detection is also achievable by increasing the intensity of illumination on the thumb, thus also increasing the sensitivity of image capture sensors. Note that the technology can also detect the same information from the thumb via close contact with the display. Could this be one of the main features of a Surface Phone? 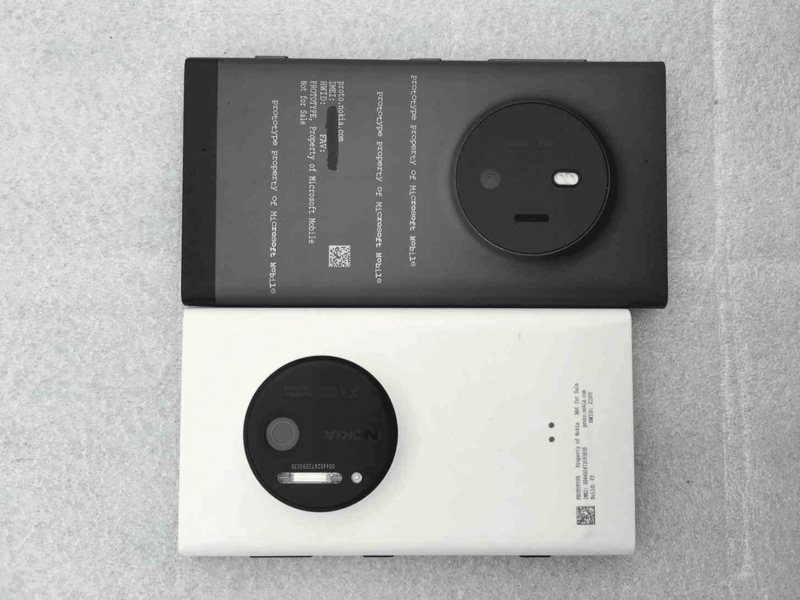 Nokia McLaren next to Nokia Lumia 1020. This is not the first time we have heard Microsoft engineering a sensor in a display. 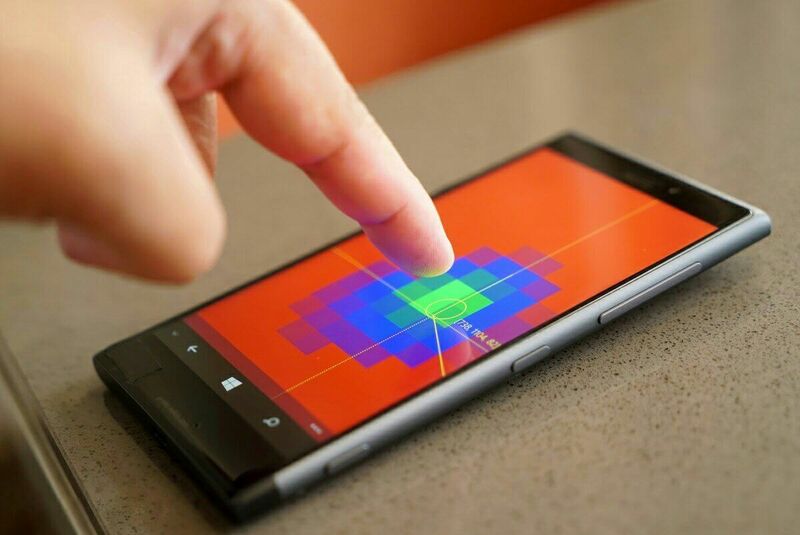 Nokia McLaren (Codenamed Goldfinger), which was never released to the market, features a 3D Touch (a technology not to related to Apple’s 3D Touch) which detects the fingers by just hovering over the display. While it sounds cool (to show off to friends), the technology isn’t really that beneficial or innovative in any way, maybe one of the main factors why Microsoft ceased the development. There are some ongoing speculations about the existence of a Surface Phone. According to some rumors, Microsoft is currently developing a foldable smartphone that will run Windows 10 Mobile. Assuming this is true, then we might expect the “Off-surface Fingerprint Sensing” technology as one of it’s main features. But as long as we didn’t gather any adequate information about it’s existence, the Surface Phone will continue to remain illusory for now. How the Internet and Portable devices changed the way we consume Contents.